Excavator, this kind of mechanical equipment, is presumably unfamiliar to us. Perhaps you touch less in your daily life, but you must know more about its basic performance. But how much do you know about the common sense of the excavator's elongated arm? What is its processing procedure? The following edition will give you a specific introduction. 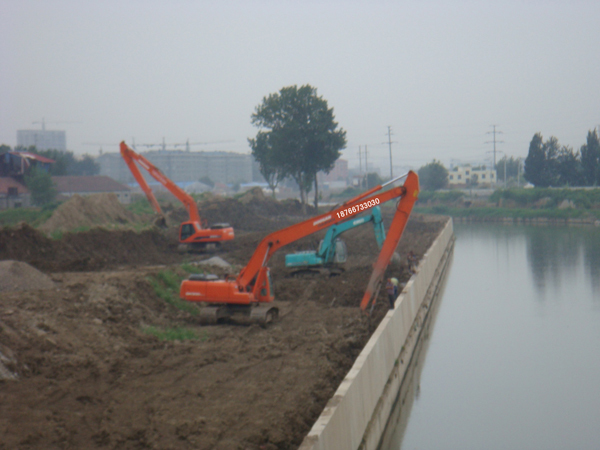 The lengthening arm of excavator is divided into two-stage, three-stage and four-stage types. The two-stage type is mainly suitable for earthwork excavation such as construction and transportation of soil and sand, concrete, slope repair of expressway, dredging and dredging of river course, foundation construction, River course, deep ditch, etc. 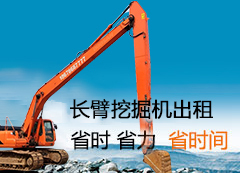 Because the cost of two-section elongated arm is relatively high, in order to save the cost, there are already armwork products on the market, that is, to add one arm on the original arm of the excavator, one arm is set on the original arm of the excavator, Ma Toushan, and the other end is equipped with a bucket (generally the bucket capacity will be less than 1/3 of the original bucket). Because the elongated arm of excavator belongs to large-scale heavy industrial products, it needs large-scale special equipment to process and manufacture with high efficiency and high quality so as to ensure the processing quality and manufacturing level to the greatest extent, such as: CNC plasma cutting machine, large groove milling machine, winding machine, large welding positioner, large floor boring machine, large shot blasting machine (necessary). Generally, stress analysis and simulation are done by computer-aided 3D design system. Other processing equipment, skilled level of staff and common sense, experience, selection of raw materials, manufacturing process and other aspects have a critical impact on the structural strength, performance and quality of the extended arm of excavator. General process and procedure: computer design - - numerical control cutting (manganese plate) - - bending and setting of bending machine (horsehead position) - - Welding of professional technicians - - boring of large boring machine - - lengthening arm base and pipeline device - - bucket cylinder device - - stress test - - product shot blasting treatment - - high temperature spraying - - specific inspection before leaving factory - - qualified factory. In fact, for excavators, basically all the changes come from the length of the excavator arm. The arm has always been an important part of the excavator. It has a large size and bears a large impact in the work, so its processing quality requirements are relatively high. The above information is that our long arm excavator is organized and released. We hope to help you with our website: http://www.dybocheng.com!